Easy Run @ ~6min/km: past Flagey ponds, into the abbey, to the bois de la cambre and back. We can have a drink at Flagey after. Bois de la cambre pond themselves..
scheme in collaboration with Gazelles de Bruxelles. The scheme will say what to do. The group will be split in a fast and a slow group. The fast group will do 10 minutes more. 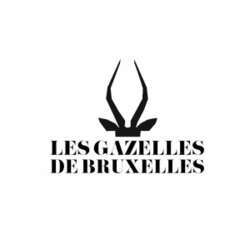 Gazelles de Bruxelles is one of the social organisation for the poor behind BrunX.